As you all know, my denim of choice is skinny jeans. With the exception of this year, they have been the only style of jeans I’ve worn for the past five years. Before my obsession with skinny jeans, I only wore classic bootcut jeans. Bootcut jeans are like a wrap dress. 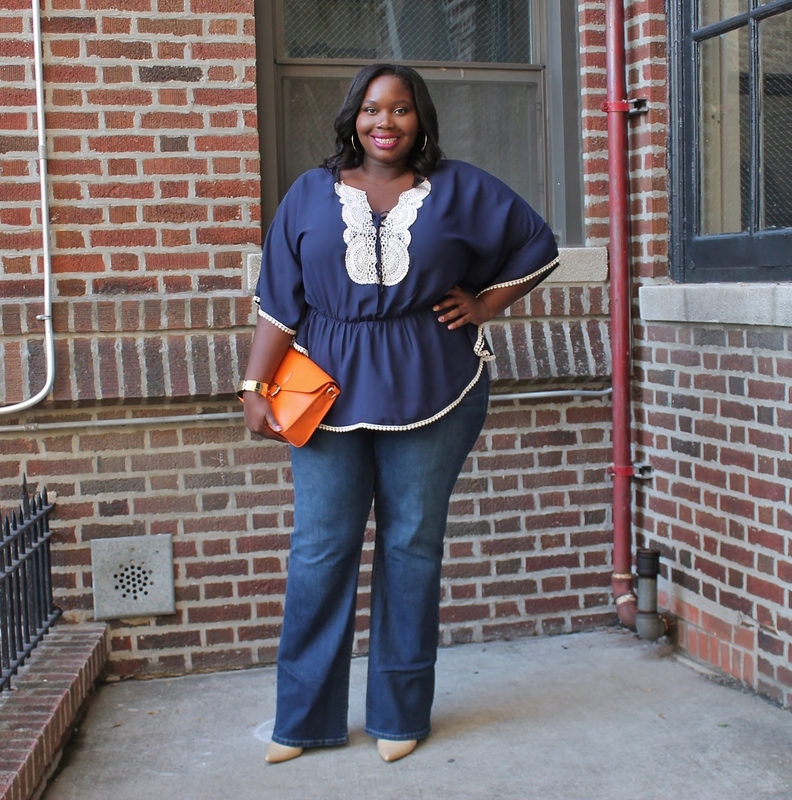 They are one of the most universally flattering jeans for just about every body type. I used to love wearing them in the fall and winter because I could rock them with a pair of pointed toe boots or pumps. 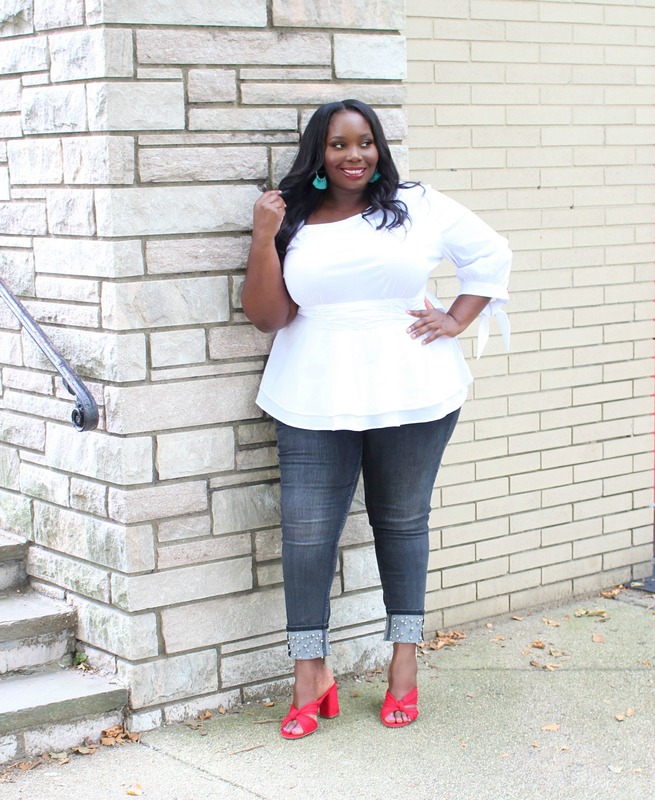 A few weeks ago, I found myself on Kohls site checking out some of their denim when I landed on the Jennifer Lopez plus size collection and spotted a pair of classic bootcut jeans. I decided to give a pair a try and I am glad I did, because the fit was absolutely perfect. 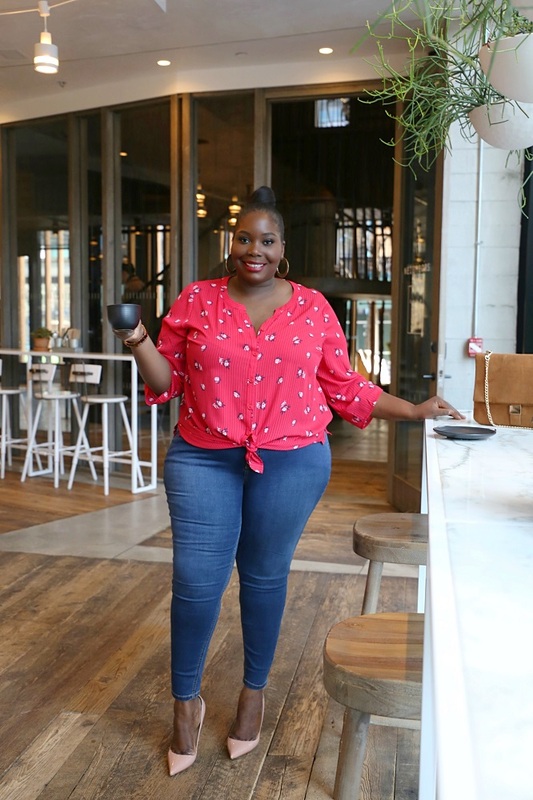 First, let me say that Kohl’s has a very nice and curated collection of plus size jeans. They carry classic brands like Levi’s, Rock & Republic, and Jennifer Lopez. Their assortment of plus size jeans is impressive. 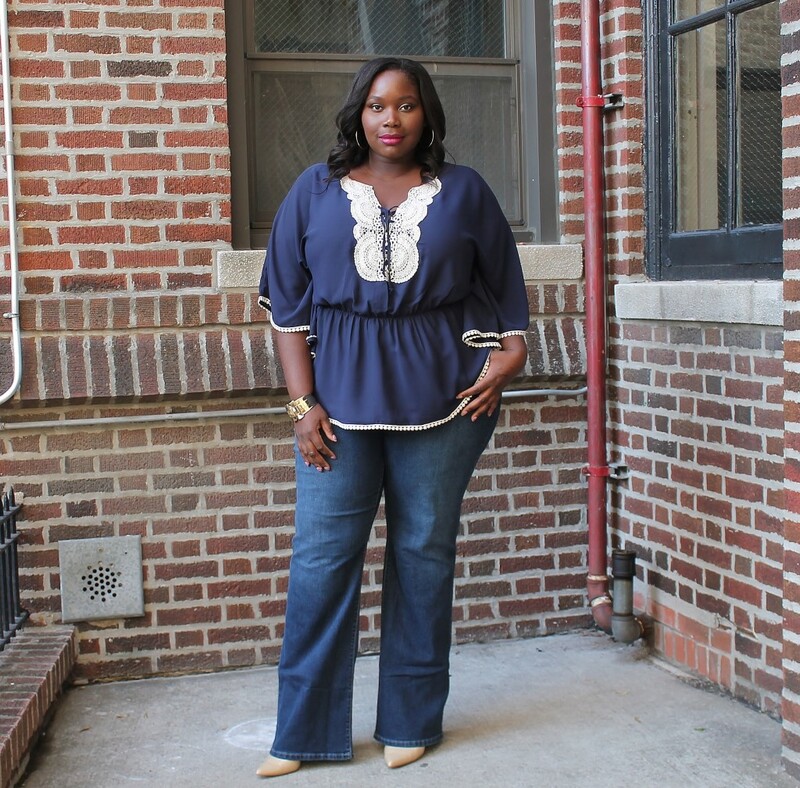 The Jennifer Lopez plus size jeans are on trend and offer styles that she would wear herself. I fell madly in love with her bootcut jeans because they hugged my hips, flattered my belly, and were long enough for my height. 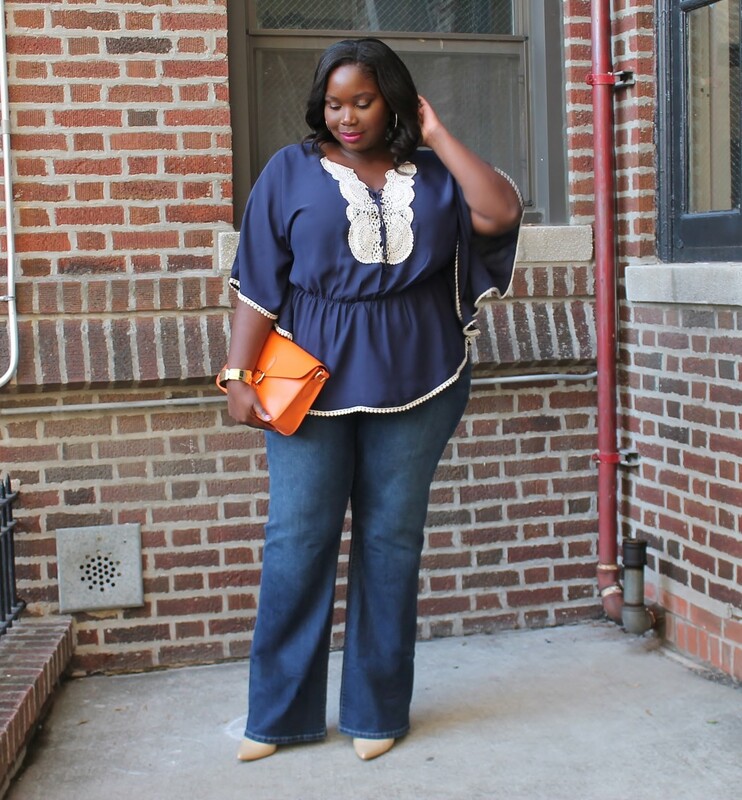 Since the 70’s have made a major comeback this season, I decided to wear the jeans with a pair of classic pointed toe pumps and a short sleeve circle top with crochet detailing. If I was living in the 70’s era, I would have worn an outfit just like this. 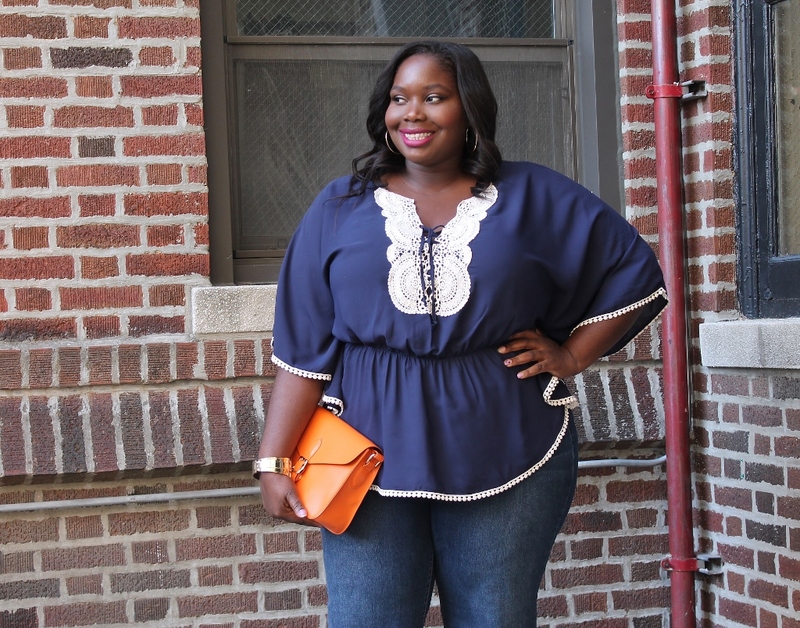 I love the crochet detailing on the top and the elastic empire waist flatters my tummy. If you head to Kohls now, you can get a discount on some cute and trendy plus size pieces. Kohl’s is running a special additional online offer for Women’s Plus from 10/15-10/25. The offer is an EXTRA 15% OFF Women’s Plus apparel. Valid online only. Ends October 25. 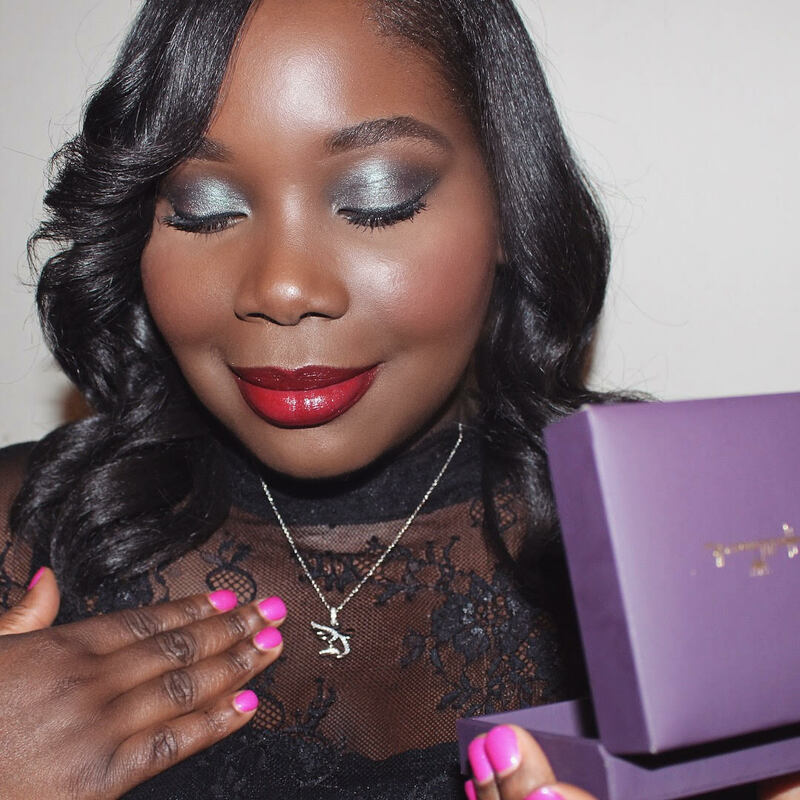 Use Promo Code MYSTYLE at checkout. What do you guys think? Do I have any bootcut denim fans out there? I read this article and found it very interesting, thought it might be something for you. 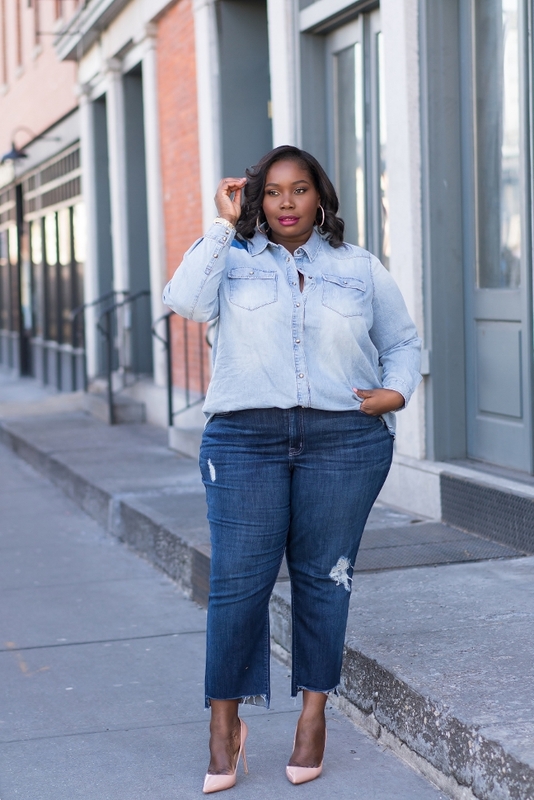 The article is called Rocking An Old Favorite, Classic Bootcut Jeans and is located at https://stylishcurves.com/plus-size-jeans/. I still adore the boot cut! Having larger thighs, I love how this silhouette balances out my leg line. They use to be my go-to before I FINALLY gave in to trying skinnies (I was a late bloomer with this style ). 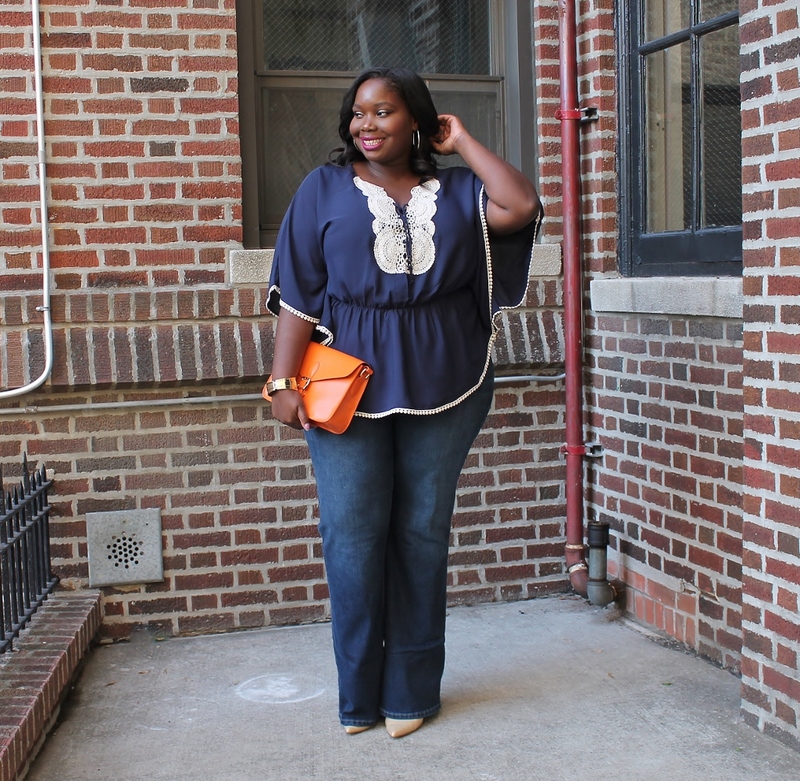 I really love this style of top too with the cinched waist and “peplum”. Lovely look! Lol on late bloomer to skinny jeans. Thank you for the compliment. I feel the same way about bootcut jeans. You look fab and I love bootcut jeans but —- that top!!!! OMG, in love.